Locally produced to maintain utmost quality control, while supporting local business. 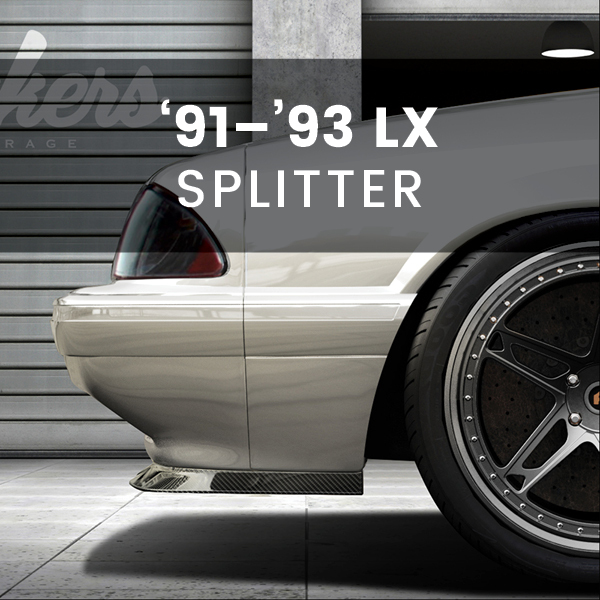 The LX Splitter is designed to reduce the unwanted sag in your lower bumper, creating the perfect amount of sag for the perfect look. 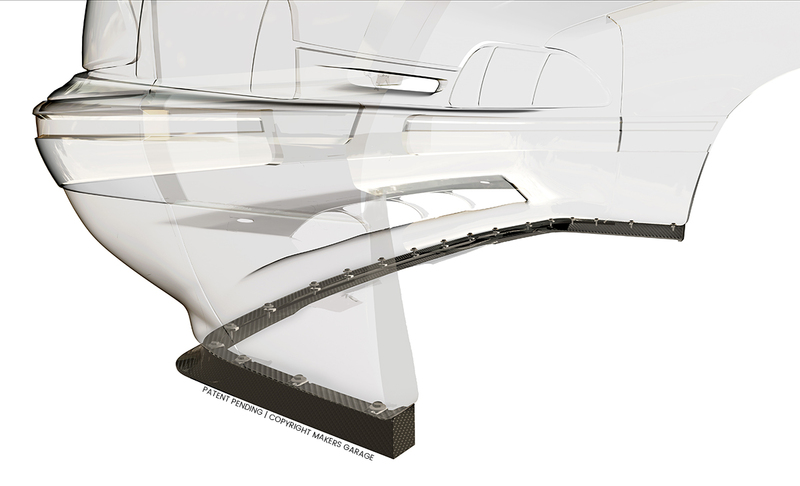 Because of the strength of the carbon fiber and the shape of the splitter, the bumper actually forms to the splitter instead of the splitter to the bumper. 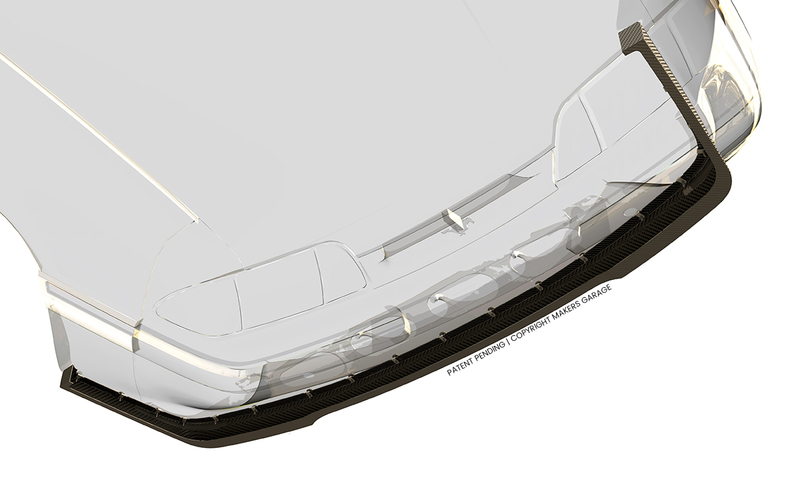 This reduces the bumper sag, creating a clean look. The splitter carries into the wheel well and closes off the area behind the bumper extension. It’s details like this that give your car a tailored look. 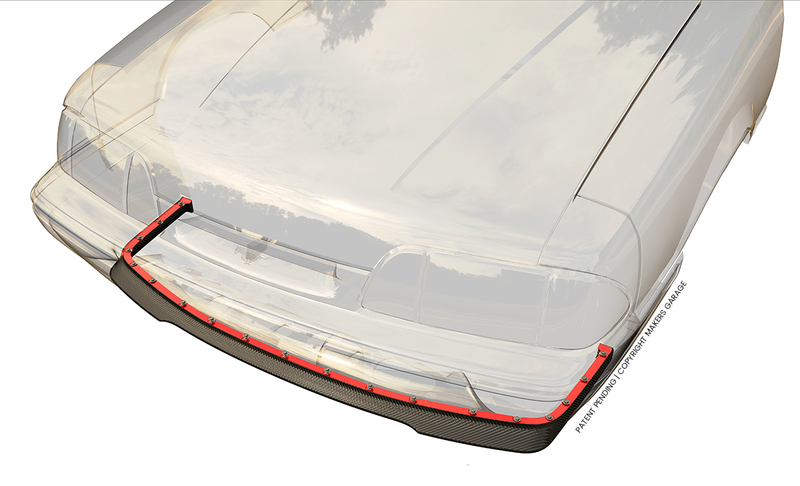 Shown in red, the mounting flange is a direct offset of the factory bumper surface, which guarantees a tight tolerance and precise fit. On this flange are 19 pre-drilled mounting points, that attach the splitter to the bumper using provided automotive style u-clips and bolts. Our goal is to provide you with as many details as possible so you can be 100% confident about your purchase. Check out our FAQs for more info.